Hey there Paper Peeps! 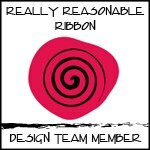 I dropping in to share the great project I created for the new challenge at Really Reasonable Ribbon. 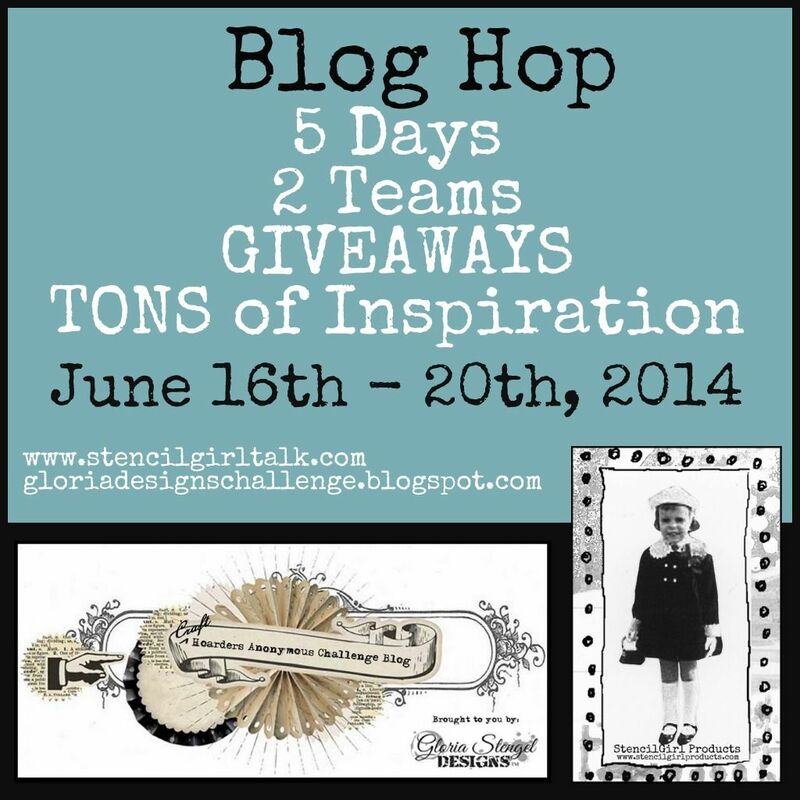 The theme for this challenge is “Anything But a Card” okay…challenge accepted! I created a patriotic shadow box. 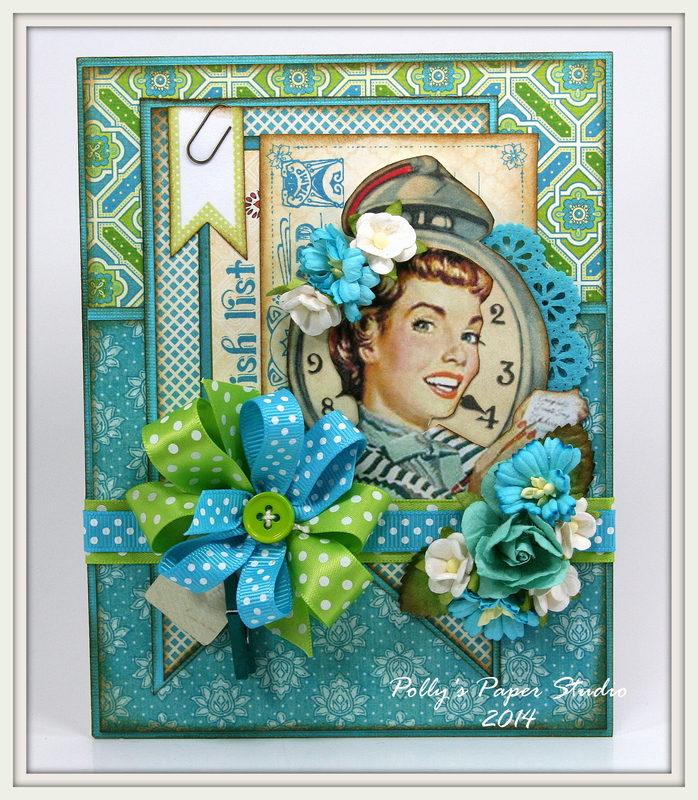 Now it’s your turn to whip up a great “Anything But a Card” project and link up with us at Really Reasonable Ribbons Ramblings! 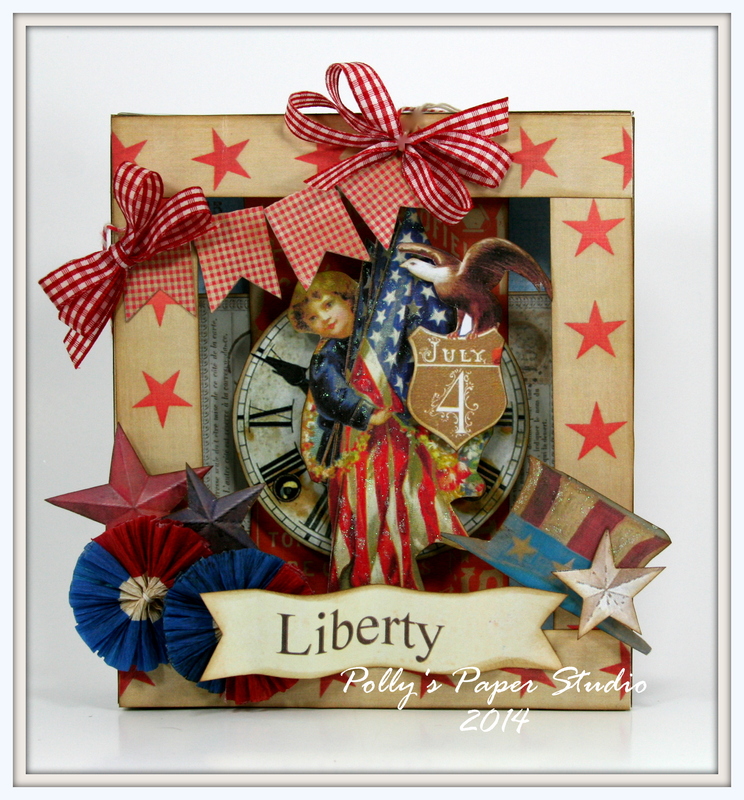 I added poofy bows of Red Gingham ribbon that matched my patriotic Americana theme. 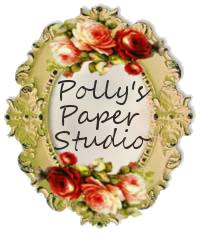 Hello there Paper Peeps….this is the second post for us today…..but I’ve just gotta jump in to share the new challenge at Craft Hoarders Anonymous Challenge Blog! 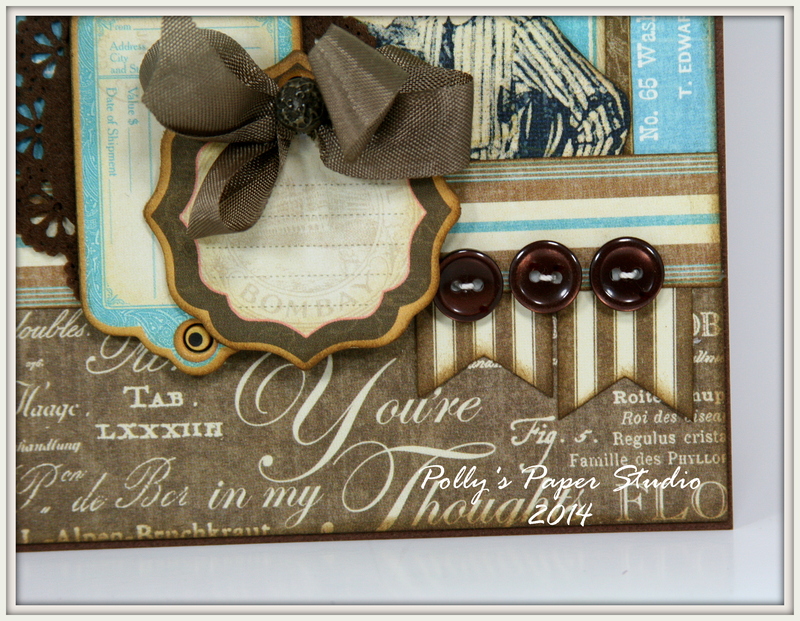 We’re changing it up a bit…..this time we’re having a week long hop with the DT from Stencil Girls! How fun is that???? First a shout out to our very generous sponsors…..
Visit the WorldWin Papers Website, worldwinpapers.com for more information. To locate a WorldWin retailer near you , call 1-800-843-6455 or email worldwin@worldwinpapers.com. Visit the WorldWin Blog for more projects. 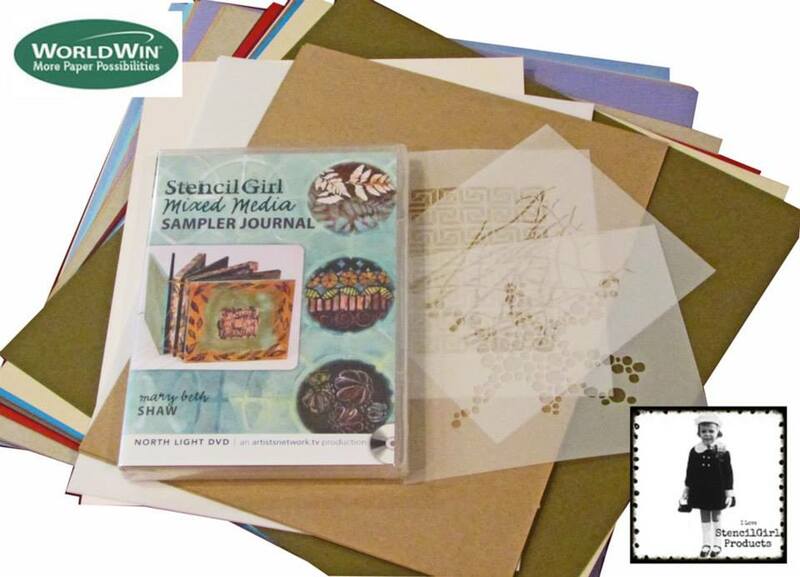 Show us your inner mixed media diva! Use spray mists, inks, paints, modeling paste, embossing powder, pastels, chalk, and whatever messy media you can find! Let’s dig into that hoard, pull out some of that “messy stuff,” and use it up! There is a mess-maker hiding in all of you! Let her/him out to play! 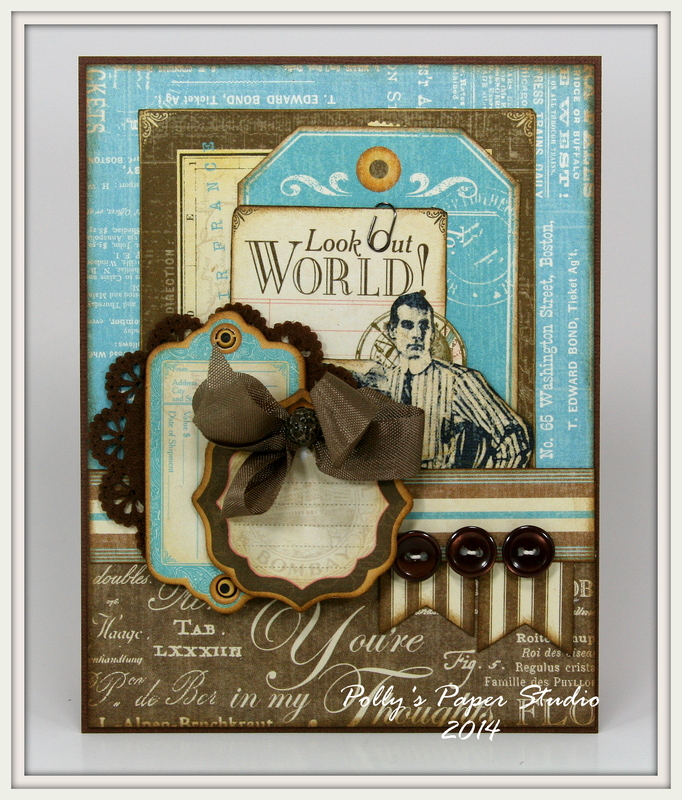 Each day this week you will visit the Craft Hoarders Anonymous Challenge Blog see the fabulous designs of the Craft Hoarders Anonymous Team, and then you will visit the StencilGirl Talk Blog to see what their team is doing! Hey there Paper Peeps….I’m dropping in this morning to share the card I created for my dear sweet amazing Hubby for Father’s Day. He is such a great Dad he should get a card every day! I dug into my new stash of Come Away With Me papers from Graphic 45 and it was the perfect choice for a masculine card! I layered the patterns with the chippies and a tiny clip …felt doily and buttons. And don’t forget the Wrinkle Ribbon from Really Reasonable Ribbon! Hello there Paper Peeps! Hope you all are enjoying a fabulous Father’s Day! My boy’s are going for a hike….then home for yummy bbq dinner : ) I’m going to work on the kitchen remodel…..that I have been working on for like ever….lol…..too much to do…not enough time! Before I get the paint brushes out…I’m dropping in to share some great cards I created with my new Masculine Cards Creativity Kit. I have two more all layed out and ready for assembling….but I ran out of workday. 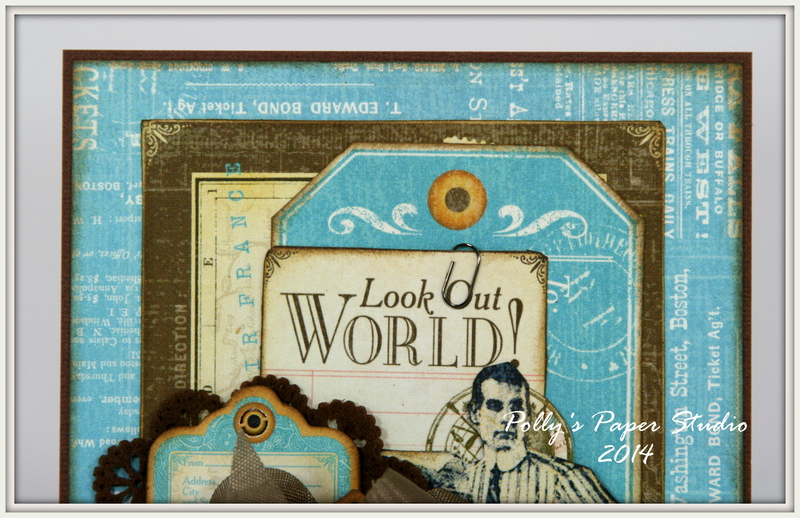 Everyone loved the addition of the printed papers in the last kit….so I included them in this one too! 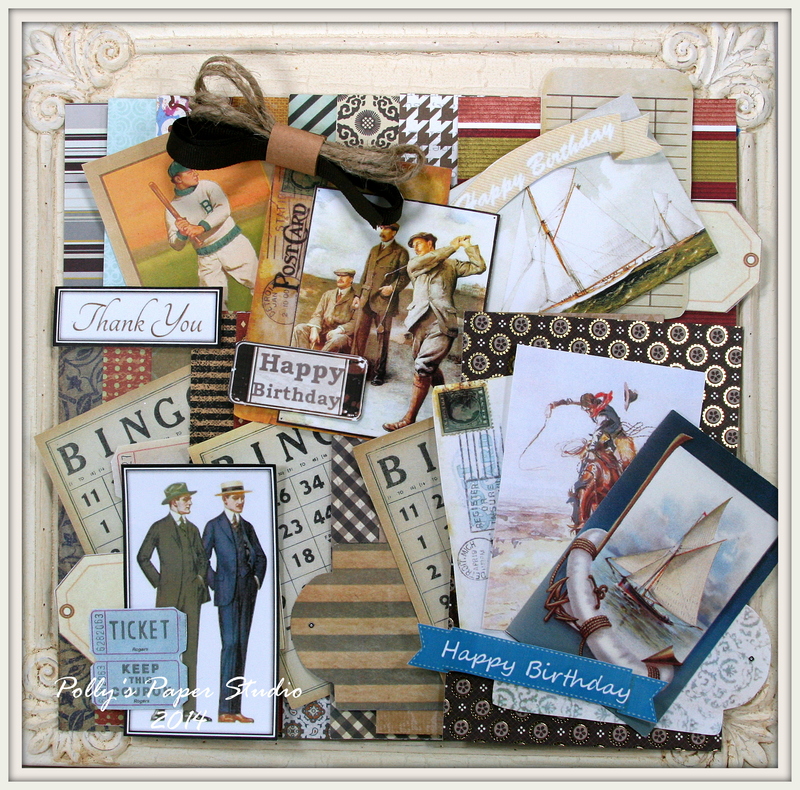 I found really great warm masculine inspired patterns to match the printed vintagy images. I’m also including the ribbon and twine as yardage …just in case you want to wrap the trim instead of adding bows. 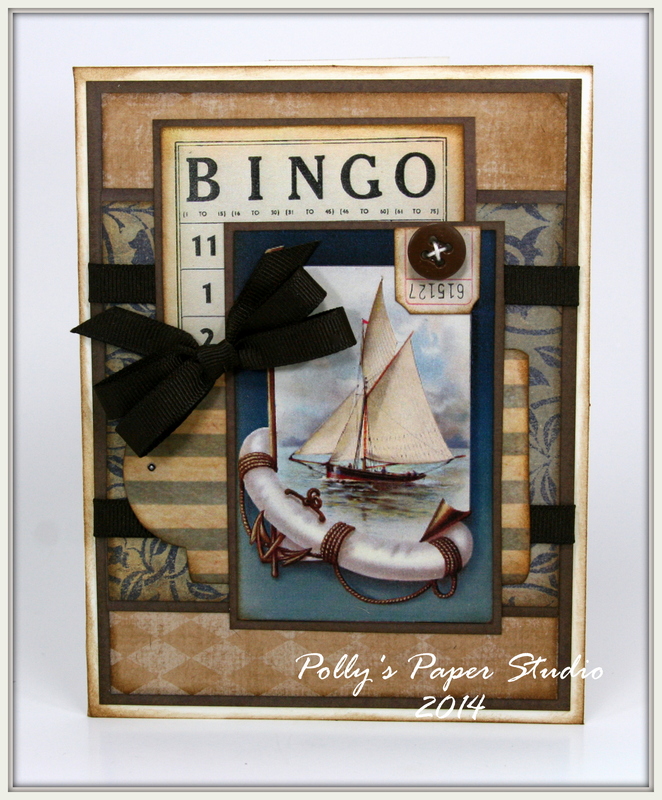 This kit has 41 great pieces and I was able to complete 6 cards just by adding a little solid cardstock and a few embellies from my stash. 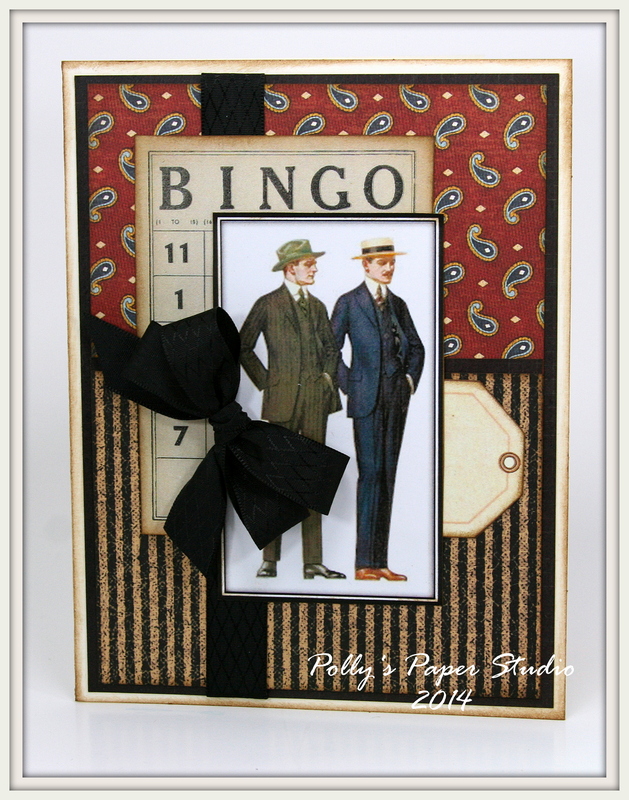 You can find the Masculine Card Creativity Kit at Polly’s on Etsy. Well hello there Paper Peeps and Happy Saturday! 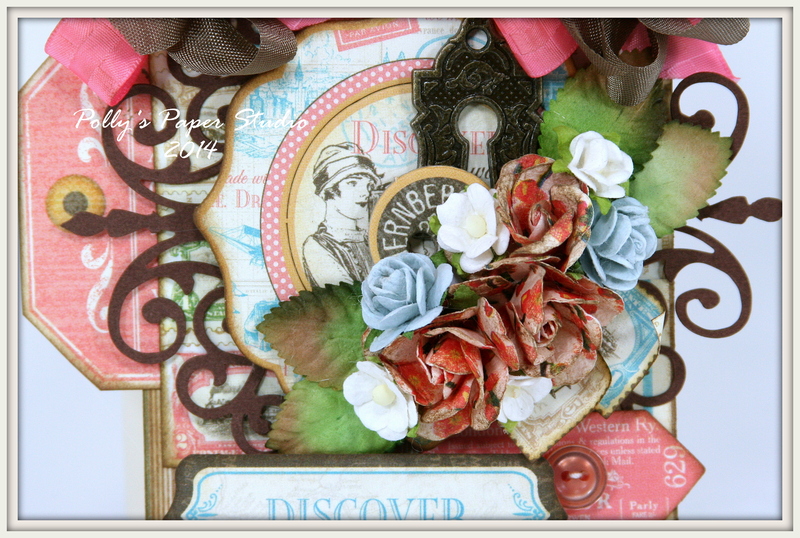 I’m just dropping in to share a tag wall hanging I created in the shop yesterday while playing paper with my dear friend Brandy……Friday Funday…..we worked and watched a Jurassic Park movie marathon and complained about how old we were lol! Hey there Paper Peeps! 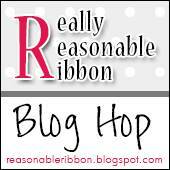 It’s time again for another Blog Hop with Really Reasonable Ribbon. Don’t you just love a hop???? So much great inspiration in one place!!!!! 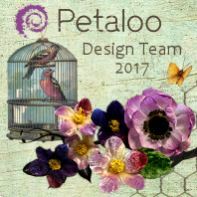 The Design Team and I are sharing our projects that we created featuring the fabulous selection of ribbons in the Ladybugs and Butterflies June Ribbon Club Assortment. 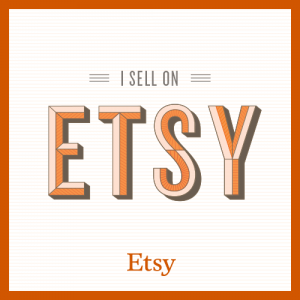 You should be coming to me from the Really Reasonable Ribbons Ramblings Blog. That’s the first stop in the hop…so make sure to start at the beginning….you don’t want to miss a single thing! My project started with a purchased notebook. I covered it in layers of pretty patterned papers, vintage images, Really Reasonable Ribbons, and a fabulous flower made for me by my extra awesome friend Anna. This ribbon selection is so bright and cheerful and whimsical! 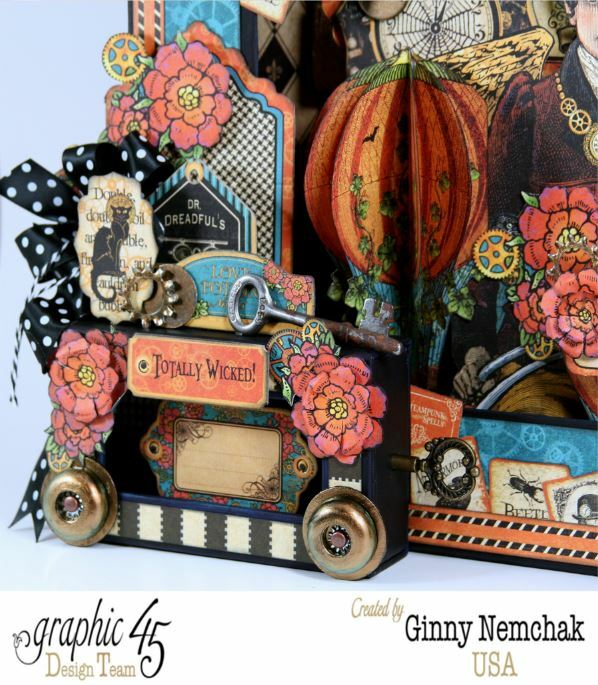 I just love it…and it matches the Bohemian Bazaar Papers from Graphic 45!!! This little notebook had lots of spirals on the binding so I could really load it up with the ribbon….after all….more is better right? 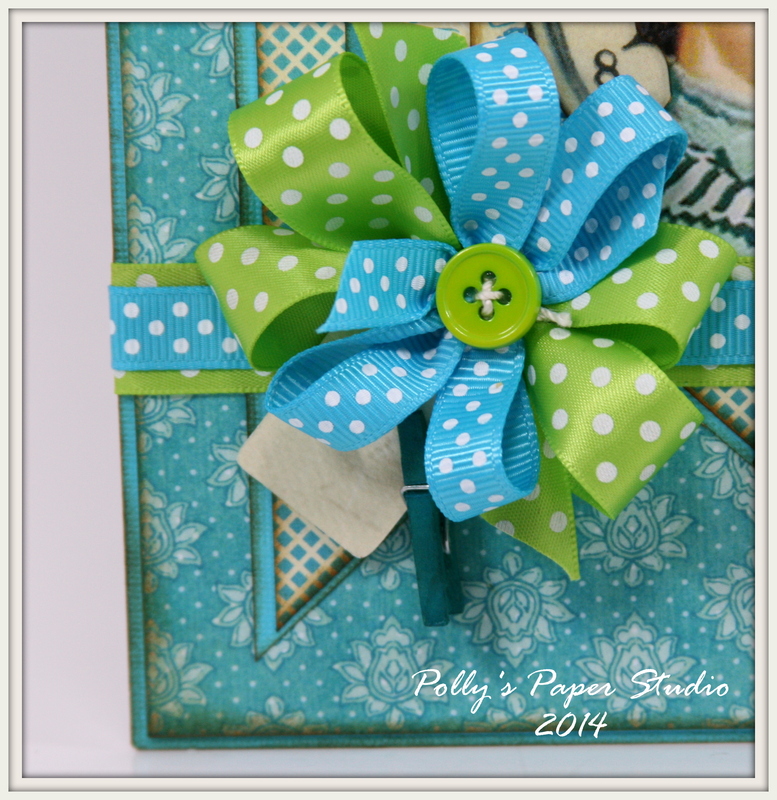 I used these ribbons for my binding…..
Okay…the next stop in the hop is the lovely and talented Carolyn. Hey there all you Paper Peeps! I have to share that I received another super gimongus box of paper pretties from the very generous Graphic 45 last night and I have been like a kid in a candy store! I mean who is so lucky to get so much awesome crafty goodness to play with????? This Girl!!!! 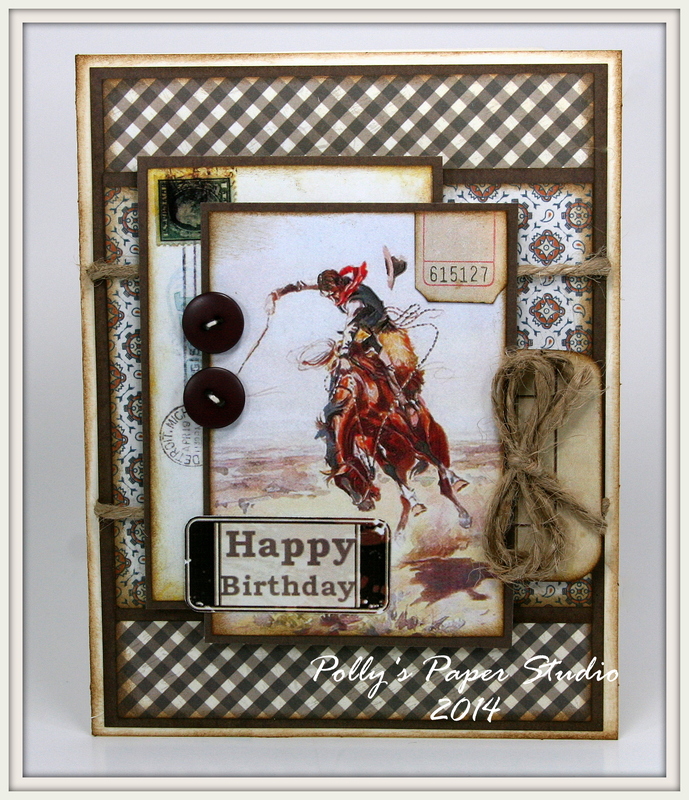 I created this fun card with the 8×8 inch Bohemian Bazaar paper pad and some images from my Really Retro Birthday Creativity Kit. I am really loving this color combination! 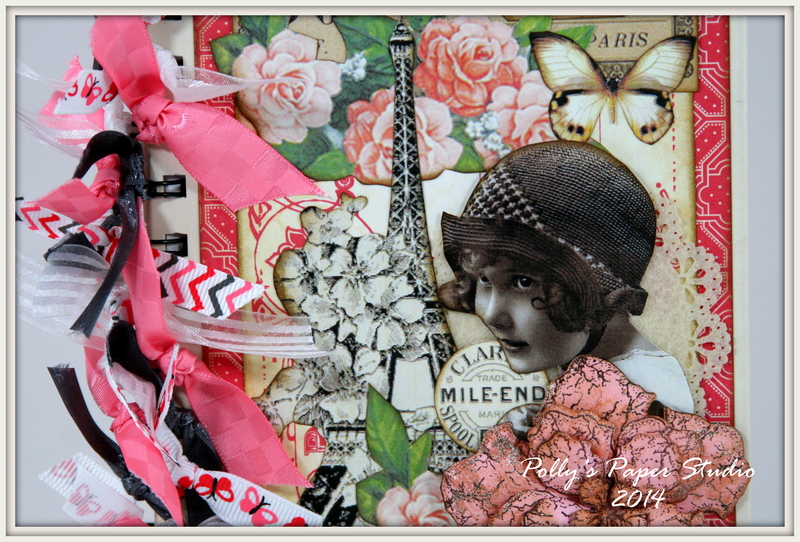 And yes…yes I did layer two different polka dot ribbons….because that’s the kinda girl I am! These two ribbons happen to be Swiss Dots on Turquoise Grosgrain and Swiss Dot’s on Apple Green Satin from Really Reasonable Ribbon. 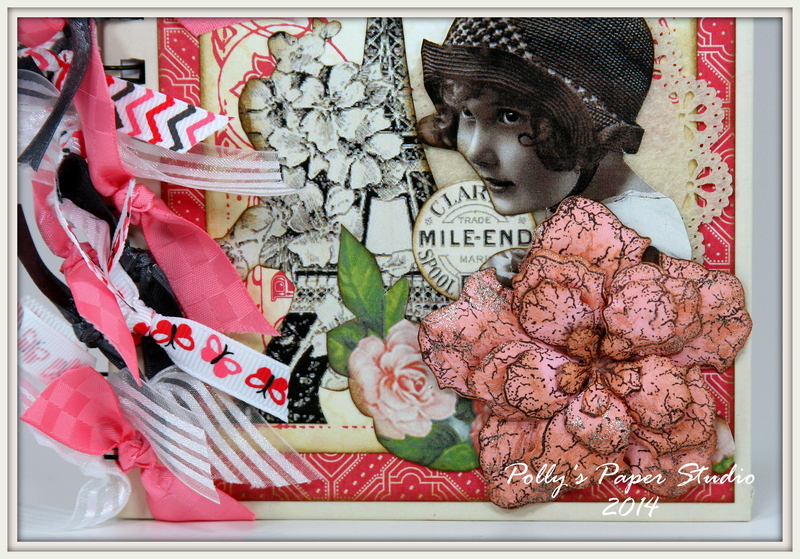 These scrumptious ribbons coordinate perfectly with the paper! Pretty Mulberry flowers for added detail. 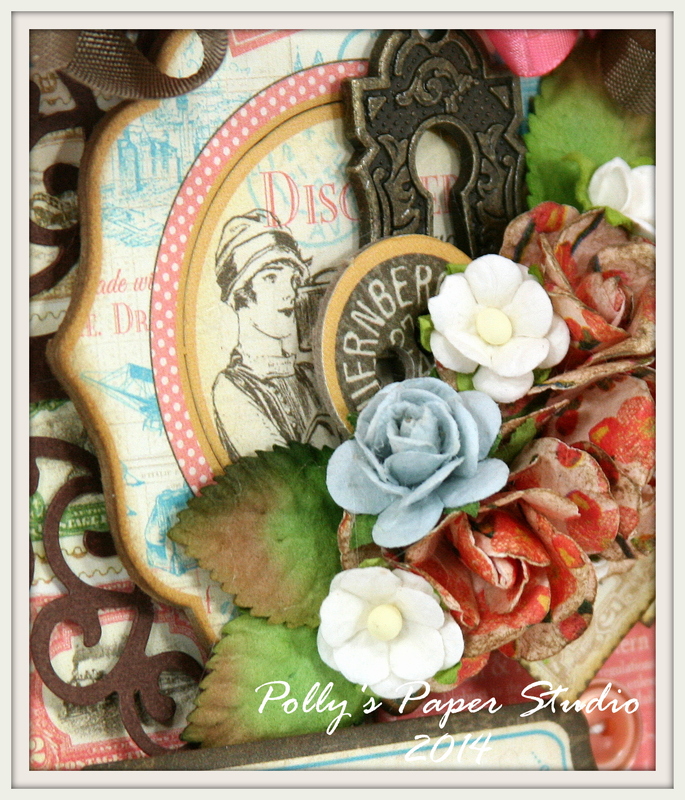 These paper patterns are from Graphic 45 Bohemian Bazaar Jasmine Nights and Mystical Masterpiece and the vintage images come from my Really Retro Birthday Creativity Kit. 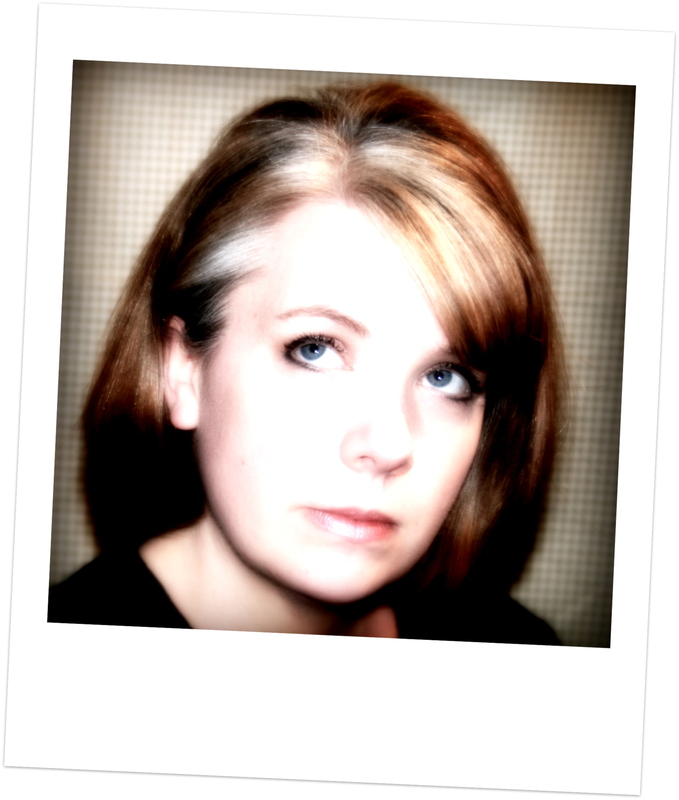 I’m also pretty excited to share that my formal intro to the Graphic 45 blog is tomorrow yayyyy! I hope you can all stop on by and check it out. Here is a sneaky peek of one of the projects I created especially for G45 for June. 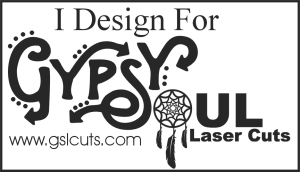 Yep…that is a really real official banner with my name on it!!! Woot woot! Okay…that’s all for me. I’m off to the shop to get my craft on with more of my new G45 stash!